After a fairytale wedding at Lake Como in Italy, newlyweds Deepika Padukone and Ranveer Singh are back in India. After a fairytale wedding at Lake Como in Italy, newlyweds Deepika Padukone and Ranveer Singh are back in India. The two were photographed at Mumbai airport on Sunday. As soon as the pictures made their way to social media, fans and paparazzi just couldn't help but stop gushing over the two. Since the onset of their wedding, Deepika and Ranveer have chosen wedding ensembles that set wedding fashion goals on different pedestal. As they were spotted in Mumbai returning home for their first post-wedding ceremony, Griha Pravesh, they looked ravishing in their outfits, this time in gold and red. We are totally crushing over this wedding ensemble so let us dissect their styling for you. Throughout the wedding, the couple chose color co-ordinated outfits and they seem to carry forward that trend even after the Italy wedding. 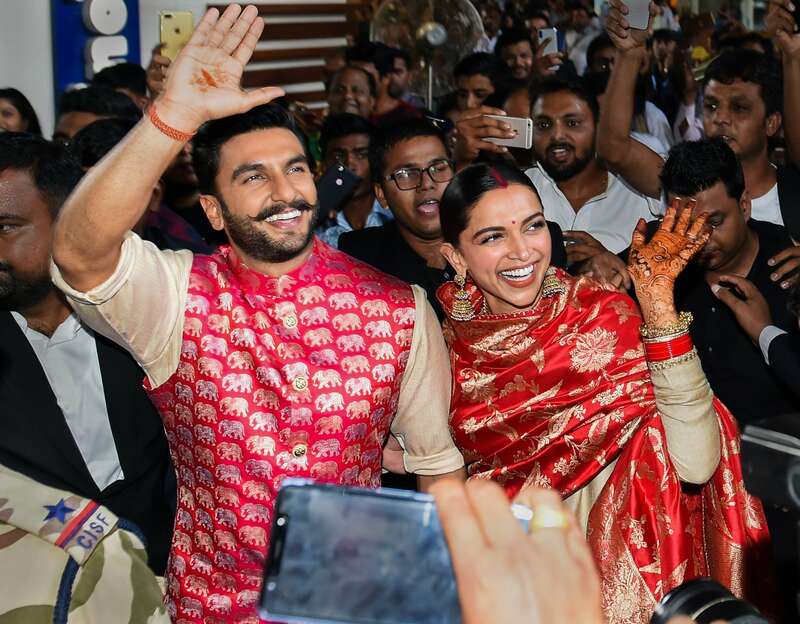 Dressed in Sabyasachi outfit from head-to-toe, the couple wore golden Kurta-pajama, the groom wore a magenta pink silk jacket while Deepika wore a red Banarasi silk Duppata. 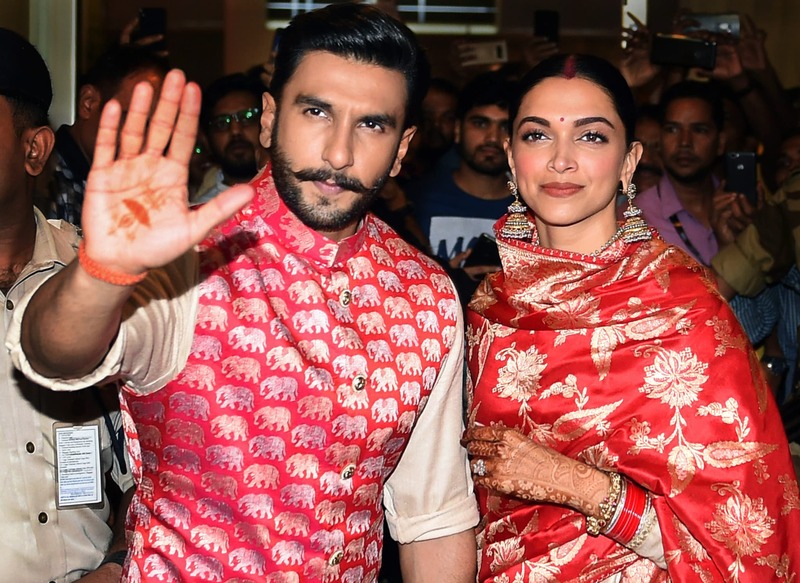 Ranveer's gold buttoned jacket was embellished with golden elephant motifs while Deepika's red Banarasi duppata also had golden leaf motifs. Beautiful is not the word to describe Deepika here as she nails the newly married Bahu look like no one else. From the Mangalsutra, Sindoor, Chooda to her beautiful Mehendi, Deepika oozed grace while she smiled and waved at the paparazzi. 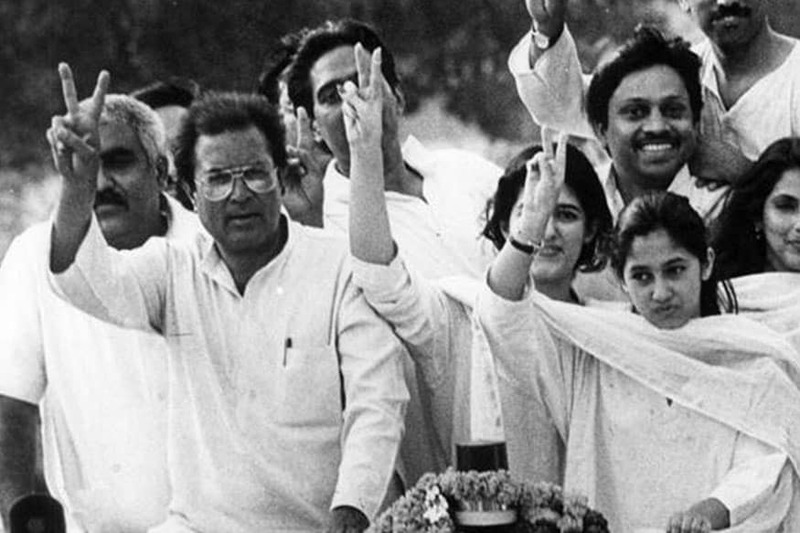 Her million dollar smile and the diamond ring sparkled as she posed with her better half. We couldn’t help but notice, how the couple matched even their Jhuttis. Deepika chose a tan brown color Jhutti and Ranveer wore dark brown version of the same. Designer Sabyasachi also posted pictures of his favorite couple in his wedding creations. He clarified on Instagram that the saree wasn't designed by him. So for the brides and grooms-to-be, start bookmarking the wedding looks approved by Deepika and Ranveer, you might as well look as glamorous as them on your D-day.